Tim Moore is a self-described futurist and media-appointed influencer in the space of wearable technology. As the current VP of Marketing at Six15 Technologies and former CMO of Rochester Optical, he’s often on the forefront of inspiring discussions centered around future implementations of the somewhat nascent wearables industry. This fall, he will be among the panel of experts gathered for IEEE’s Rock Stars of Wearables in Austin, Texas. In advance of the event, we sat down to pick his brain about the way of the future. 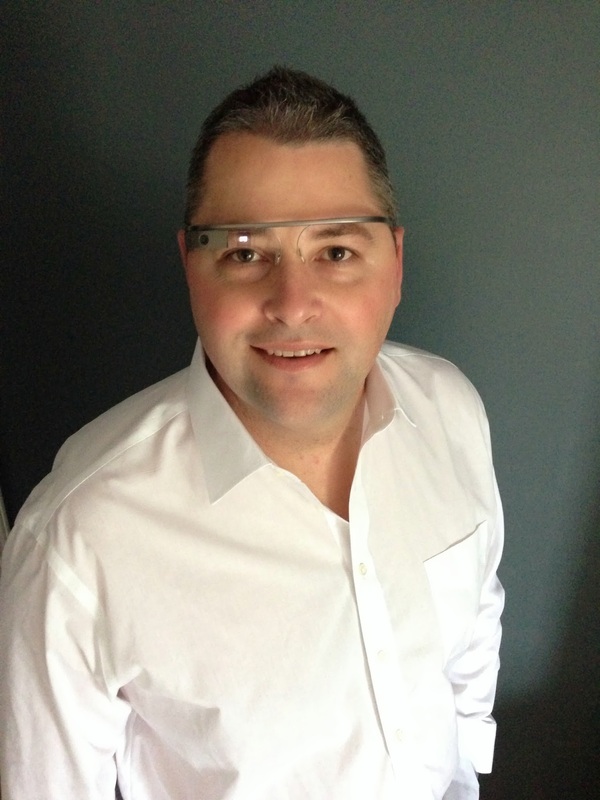 We’d like to dig into your thoughts on the current state of augmented reality and smartglasses. You’ve been predicting the future for many years now, so I’m curious to hear where you believe we stand. We are very close. We have about 16 to 24 months to go before we’ll really tip. Some of the technology, the waveguide technologies, are maturing. We’re going to start seeing a lot of that over the rest of this year, and that’s really going to start to evolve things. Plus, all of this wearables stuff is a migration from the phone that’s in our pocket to our wrist and then from the wrist to the head. [The head] is where all of our sense are. Our hearing, smell, sight, taste, everything is there. And for millennials and the group after them, that’s kind of the way they’re going to want to live. Heads up, hands-free. They don’t want to be distracted. They want what they want when they want it. So, from those that I have polled in this country, in Hong Kong, and throughout Europe, specifically Germany, the UK (London), and Italy, about 74 percent said that if the wearable worked right, they would ditch their phone today. How do mobile payments play a part of the future? The Samsung 6 has Samsung Pay on it, Apple’s watch has Apple Pay, Google has Google Wallet that you can use on their Android devices. So, we’re seeing that money is evolving from a debit card or, you know, I don’t have cash in my wallet, I can hardly remember when the last time is that I had even had cash, and coins, I just throw away. It’s pathetic, but I just don’t want any of that stuff in my pocket, a pocket full of receipts. I think we’re going to see a transparent movement as pay-wear comes online, and people are now starting to see that with a fob or a ring or a watch or even glasses, that maybe it’s just a special 8-digit PIN number that they can pay with things and they don’t have to have anything on them, not even a wallet. I think that’s going to appeal to a lot of people. Well, I know it would to me, especially if the security is there. Are there any devices or technology in particular that you’re really excited to see coming down the pipeline? I was just looking at Optinvent, their ORA glasses are available now, and I like them. I trying to get my hands on a pair to review them. I also really like the Epson Moverio which is full AR and has 3D capabilities. It gives you a full 42 inch screen. It’s amazing. I binge watch Netflix on it, and I can just lay my head flat, put these on, and have full stereo headsets. It’s just beautiful. Now, it’s bulky, but that’s okay. We’re getting there. I’ve always said that from 2018 to 2020, is going to be our tipping point. That’s when we’ll see Apple step in. Google will probably be on version 3 by then. So that’s where we’re headed. Who do you see the customer base being for AR and/or VR devices? I think the market is ready for us to mature the AR section, but older folks are not going to wear these. They’re not going to wear the Oculus, they’re not going to wear the Samsung [Gear], they’re not going to wear any of those devices. It’s going to be for the millennials and down, but that’s a pretty good chunk of folks. If they’re 35 now, by 2020 they’ll be 40 — so they’re going to make up a big chunk of the consumer base. Do you think it will take a mainstream company like Apple to really push this kind of product forward, as well? As soon as Apple announces that they’re coming out with a pair of smart eyewear — it’s over. That will change just like the iPhone, just like the iPad, just like the release of the Apple Watch. We can predict the future based on how these things have been accepted. Any other parting words as to our future relationship with wearable technology? The only thing I would add is that people are not seeing the whole picture. Look for the wearable for the smart home to be a piece here, where you can sync up your Nest Thermostat and things. Because of the miniaturization of things, look for your home to be connected to your wearables and to be used as an identifier when you come in, there are presets. That’s going to be a big piece coming in the next few years too. Click here to find out more about the Rock Stars of Wearables event.